Every year the kids write a letter to Santa, but how often does he write back? Here’s 10 ways to sprinkle that Christmas magic like confetti this year! And best of all? Most of these are totally free! If you’re interested in BUYING some special stationary for your kid to write on, I found a couple cute things at Amazon. Kit includes colorful stationary, envelopes, thank you notes and door hangers. Got an Elf on the Shelf? Here’s a kit that promises to “shrink” your child’s letter to elf size so he can hand deliver it to the big guy. Hint: It’s a really a Shrinky Dink…Later you can hang it on the tree. Kinda cool! How you get your child’s letter TO Santa is going to depend on your kid’s age, and your willingness to play the Santa game. When I was little, mom just told me to put the letter in my Christmas stocking and it would magically arrive at the North Pole. My family watched a lot of sci-fi, so the concept of a portal to the North Pole in my stocking was not a hard sell. I was more concerned about our lack of a fireplace…turns out Santa has a key. Your safest bet for mailing a letter to Santa is using good old fashioned snail mail. Lucky for us, the U.S. Postal Service loves Christmas and they’ve been helping parents out for years! 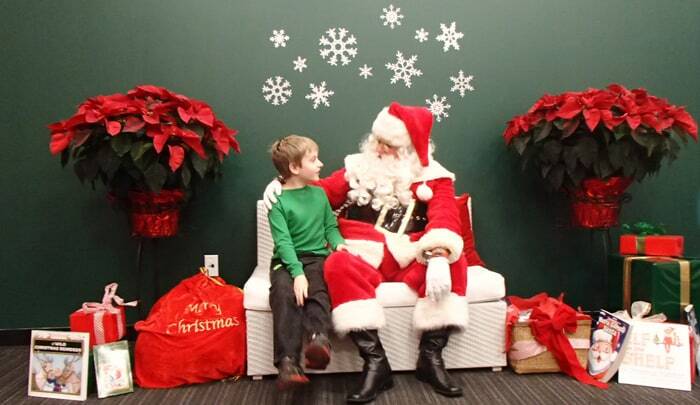 You can get a letter mailed from Santa via the Anchorage post office. BUT: You need to write it! You’ll need to include a Self Addressed Stamped Envelope (with Santa’s letter inside) and the clerks will postmark the letter from the North Pole and return it to you! Now, you’ll need to be just a TINY bit sneaky if you want to get a response from Santa–or burn three stamps and send a 2nd letter. 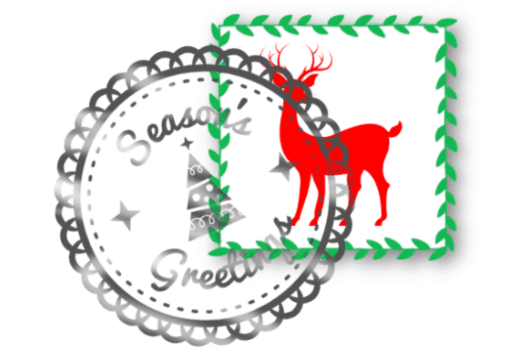 Affix a First-Class Mail stamp to the envelope, such as one of the new holiday stamps. The Post Office recommends sending Letters from Santa by December 8 so that they can be received by the Anchorage, AK, Postmaster no later than December 15. Santa’s helpers in Anchorage, AK, will take care of the rest! What if I missed the Dec. 8 deadline? That’s ok! It happens. 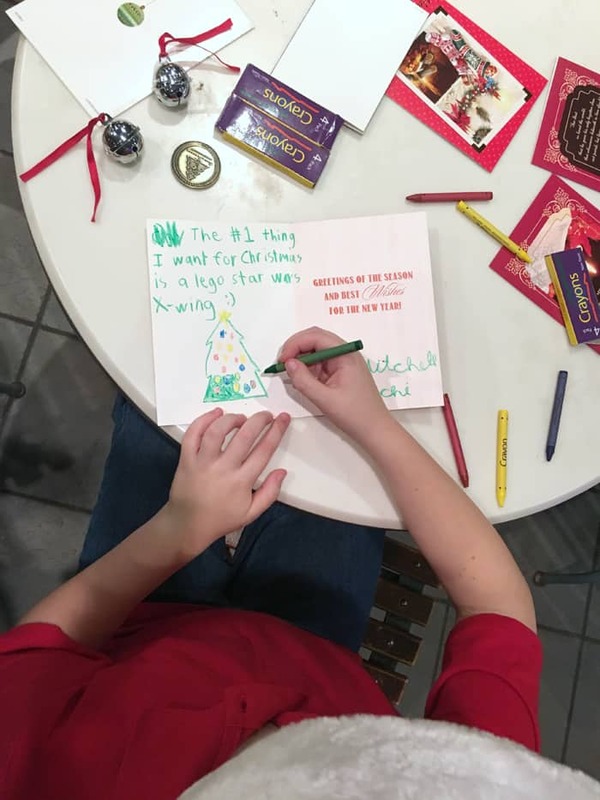 If your kids are young enough to totally believe in Christmas Magic….or don’t understand postal stamps…just make your own return letter and slip it into your stack of mail. They’ll never know! To help you out, I made this cute FAUX stamp that you can copy and print on an envelope. I made it in Picmonkey if you’d like to make your own. And remember you can always have the kids write their letter and hand deliver it to pretty much any Santa doing photo ops. I’m sure he’ll play along! Later on, you can whip up a proper response from Santa or his elf helpers and slip it a stack of mail or right into the kid’stocking. Now for the fun part! There’s a number of services out there that will send a letter to your kids for a price, but that’s kinda cheesy. If you have a printer at home or the office, you can save your money for more eggnog and print up a personalized response for the cost of paper and ink. Here’s a bunch of free Santa Letter templates that I found on Pinterest. I checked them all to make sure they’re still up to date and yes…free! Some of these templates are pre-written and a few are just letterhead that you can write or type on. I’ve also included a couple naughty letters you can drop on your kid to get them to behave. 🎄🤶❄️ Time to sprinkle some Christmas magic! I found 10 different free printable‘s that you can use for your Santa correspondence, Plus a handy tip on how to get a real north pole postal mark for just the cost of a stamp (or two). On the blog today!